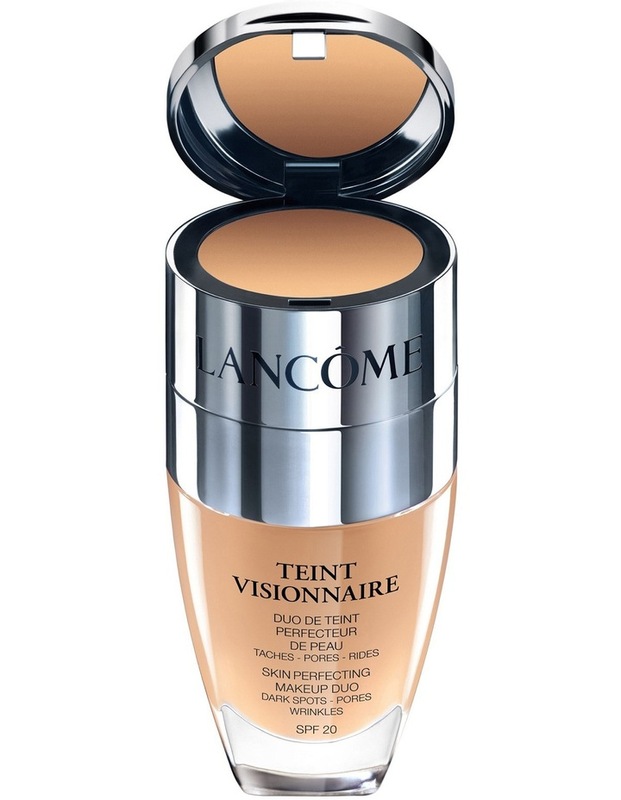 Lancome introduces a new vision of skin perfection, Teint Visionnaire foundation. 1/ High Coverage Corrector immediately corrects spots, dark circles and all types of imperfections. 2/ Perfecting Foundation enriched with [LR 2412], the miracle molecule of Visionnaire Advanced Skin Corrector, it works day after day to smooth wrinkles and refine pores, recreating truly beautiful skin. Available in 12 tone-on-tone shades. *Clinical test conducted under the supervision of an expert on 48 women during 4 and 8 weeks.